The design of these attractive ornate silver earrings was inspired by the Art Deco period. Curving silver strands, in the form of flower stems, fall from the link to the ear hook of the earring. Two of the strands finish, at different levels, in little silver flower buds. 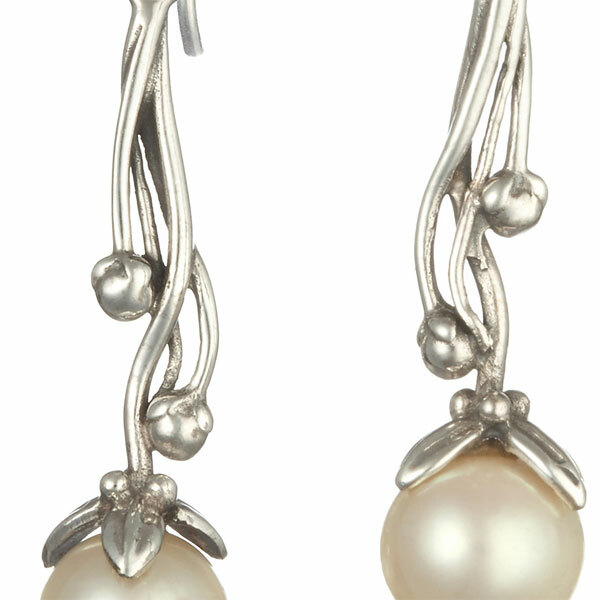 The third, thick strand ends in the form of sepals from which falls a large cultured pearl. 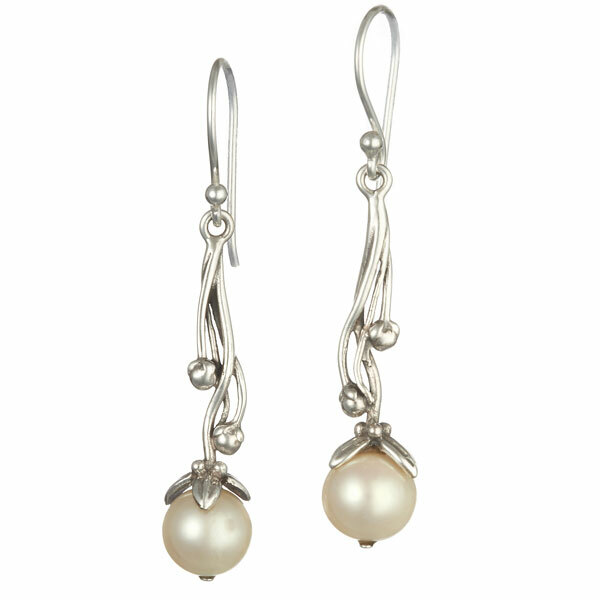 Material of earrings: sterling silver with cultured pearls.